There's working smarter, and working harder, and then there's actually enjoying your work! At Modern Digs, we believe that clean, contemporary home office furniture leads to an efficient working mind. And while we can't promise that any of our desks will have you loving your job, we're pretty sure you'll notice the benefits modern office furniture affords. 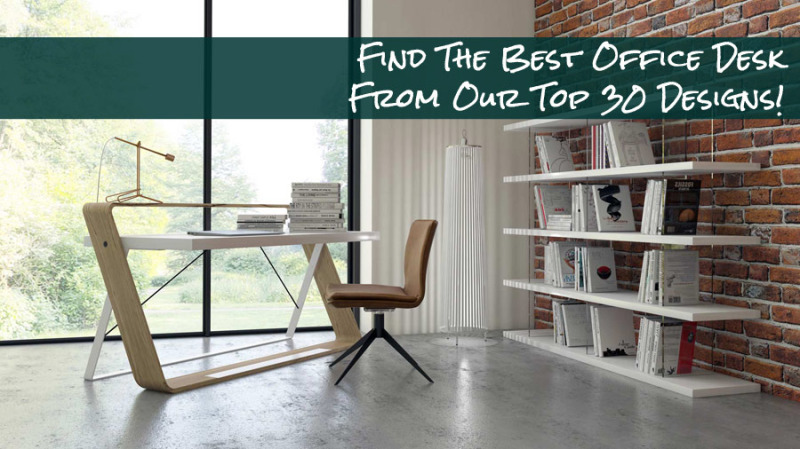 From modern glass desks to cool, contemporary office chairs, you're sure to find an uncompromising collection of modern and contemporary home office furniture for the design conscious. Our concept is simple: offer excellent design at the lowest possible price. You won't find promotional sales or pricing games because we offer you the lowest price we can every single day. To read more please click the Best Price Guarantee link above. Then browse our desks, chairs and credenzas, and transform your office into a beautiful, streamlined model of efficiency and style! Of course, style is a major ingredient in your modern office, starting with the desk. However... if we're being honest, the office is one room where you should definitely prioritize comfort and ergonomics. Before you fall in love with some of our amazing desks, check out our sit stand desks. While they're not for everyone, an adjustable height desk offers too many benefits to simply ignore. Everything from productivity to posture can be improved by alternating your working position between sitting and standing, and our designs are top-of-the-line in modern style and craftsmanship. In terms of modern home office furniture, they should at least be on your radar! If you opt for a static desk, we've definitely got you covered. Everything from large modern executive desks to workstations and smaller secretary's desks, in a variety of sizes, shapes and materials. Our main recommendation for choosing a desk is to consider how the desk compliments how you actually work. If you typically spread out texts and documents, go with a desk boasting a large work surface. If you take meetings with clients or staff, choose a large or l-shaped desk to create a confortable space to collaborate. And if you're a paperless, digital master, consider going with something simple and modern, and complimenting your modern office with a lounge, sofa or a few accent chairs. Once you have your desk, the next step to creating the perfect modern office is to add in storage where you need it. Add a bookshelf, etagere, or two to store your books and reference materials. Add a lateral file or credenza to meet your filing needs. Or, just add a small mobile pedestal to keep your post-its, pens and scissors organized! In a typical modern office we recommend shooting for "just enough" storage space. The fewer pieces of big furniture you have, the more open, airy, and contemporary your office will feel. 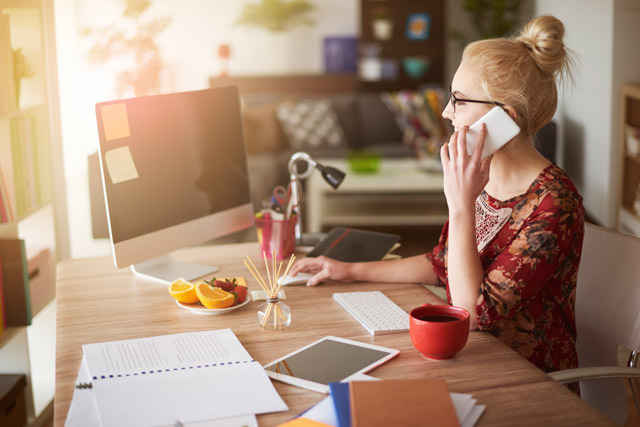 Additionally, if you're working in a smaller space, or trying to squeeze in everything you need, it's best to go with a white desk and cabinets. White naturally reflects light, so even in tight spaces you can get all of the furniture you need without sacrificing the modern open feel you love! Finally, add the finishing touches with contemporary office accessories. If you're completing a larger office suite, you might consider adding a dining table and chairs for a stylish meeting space. Often a sofa and coffee table can create a more casual feeling. (We're looking at you Don Draper.) In a contemporary home office, adding in a modern sofa bed gives you additional seating and the perfect place to put up the in-laws! Add a cool wall sculpture or piece of art for pops of color and texture. And, of course, use a modern rug to tie everything together! Create the office of your dreams with our modern home office ideas. Decking your office out right starts with choosing the best office desk. Get started with our complete guide! You're going to love Arundel - our favorite modern executive desk!